In today’s world almost everyone has a phone. Hundreds of different phone models are available and as many games are developed each day. With so many choices available, almost everyone seems to be addicted to playing some kind of game on their mobile phone. Some are addicted to Candy Crush and Ludo Star, while others are hooked on FIFA and games like Pokémon Go. If there is nothing else to do, we always have a game to play on our phones no matter where we are. While most of the games are available to public all around the world, there are games that are not publicly available. Such games, in fact, choose you as its victim. Yes you can only be part of a game by being CHOSEN by the administrator. Recently a game has taken the world by storm after it was disclosed by a journalist in Russia. The game “blue whale’’ is known to have killed many teenagers by making them commit suicide. The ‘curators’ or the ‘taskmasters’ would look for hashtags like #i_am_whale #bluewhalechallenge #curatorfindme on social media and then decide which one to choose as its victims. So how can a game make a person commit suicide? That’s a very important question. The blue whale is a game where the administrator gives you various challenges on daily basis for 50 days which you have to complete. Although initially, the game involves some simple tasks like listening to music or taking a walk but most of the tasks are very dangerous. The challenges include self mutilation, waking up earlier, climbing buildings and cranes, craving on the person own arm or hand, poking needles into one’s body, standing in dangerous places, use a knife or razor to make the shape of a whale on their wrist or leg, killing animals and filming it, watching psychedelic horror videos in the middle of the night sent by the administrator, and ending on the last task of committing suicide. The game was first unearthed in 2013 in Russia after a few teenagers took their own lives to fulfill the last challenge. Panic over the online challenge was prompted by the death of two teenagers. The girls, aged 15 to 16, took their lives by jumping off of buildings and roofs. 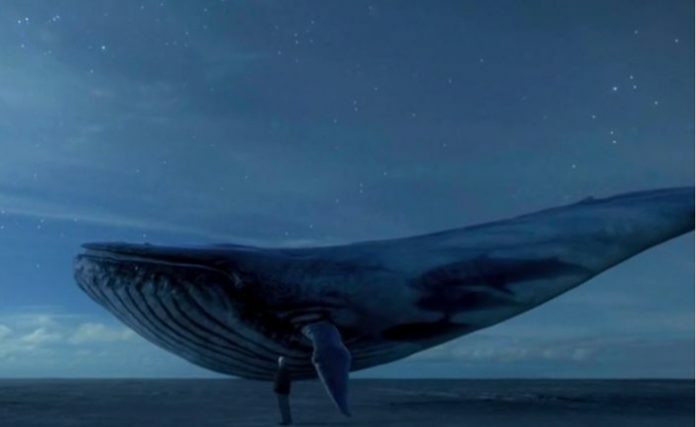 A victim named Yulia, 15, uploaded a blue whale picture on social media with the caption “end” on which a fellow player Veronika, 16, who also took her life by jumping off a roof, commented “sense is lost…end”. This game is not just taking lives in Russia, in fact, there have been cases reported from India, Brazil, USA, Argentina, Bulgaria, China, Chile, and many other countries. Russian officials arrested the creator of this game, Philipp Budeikin, in May this year; however, the game hasn’t stopped spreading. The game has reportedly taken 130 lives who were all teenagers. During investigation, the curator admitted to have personally encouraged at least 16 teenagers to commit suicide. He denies having any role in other suicides. Budeikin, a former psychology student who was expelled from his university, said during an interview that he gave those people the understanding and contact they needed and thus made them commit suicide. He claimed his victims died very happily. “I was cleaning our society of such people”, he explained. Budeikin has been sentenced to three years in jail which according to many is a very soft sentence for murder. There had been two other arrests related to the game with one being a female from Kamchatka, Russia. Budeikin was just the creator of the game. He has many administrators in his “death group” and even after his sentence, the game is spreading like wild fire among teenagers. It’s high time we keep a close eye on our youngsters so they do not get trapped in the vicious circle of such psycho games.